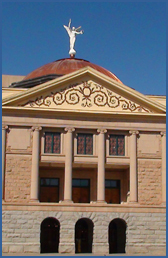 Goal 1: Provide leadership and influence payment reform and the integration of behavioral, primary, and specialty care, taking into account the needs of Arizona’s diverse residents, urban and rural/frontier providers, small provider organizations, and specialty providers addressing complex needs. (b) learn to collect, manage, and use information to improve care, report outcomes, and make a business case for compensation commensurate with impact. Goal 3: Provide leadership and influence the transformation of child welfare by the Department of Child Safety. Goal 4: Provide leadership to increase the number of licensed behavioral health and child welfare professionals.